Jonesboro and Paragould Arkansas Concealed Carry Courses, Enhanced Concealed Carry, CPR/First Aid, Tactical Pistol, and Active Shooter Courses! There are lots of firearms instructors out there but what sets us apart? Many of you know Logan Lee as Mr. Lee owner of 2 full time martial art schools in Northeast Arkansas for the last 23 years, however he is also a firearm instructor and has taught thousands in the last 12 years at his own private range. He has recently become the newest Arma Training instructor under Dave Young and will be teaching civilians the same material that is taught to thousands of police, military, and correctional officers around the world! 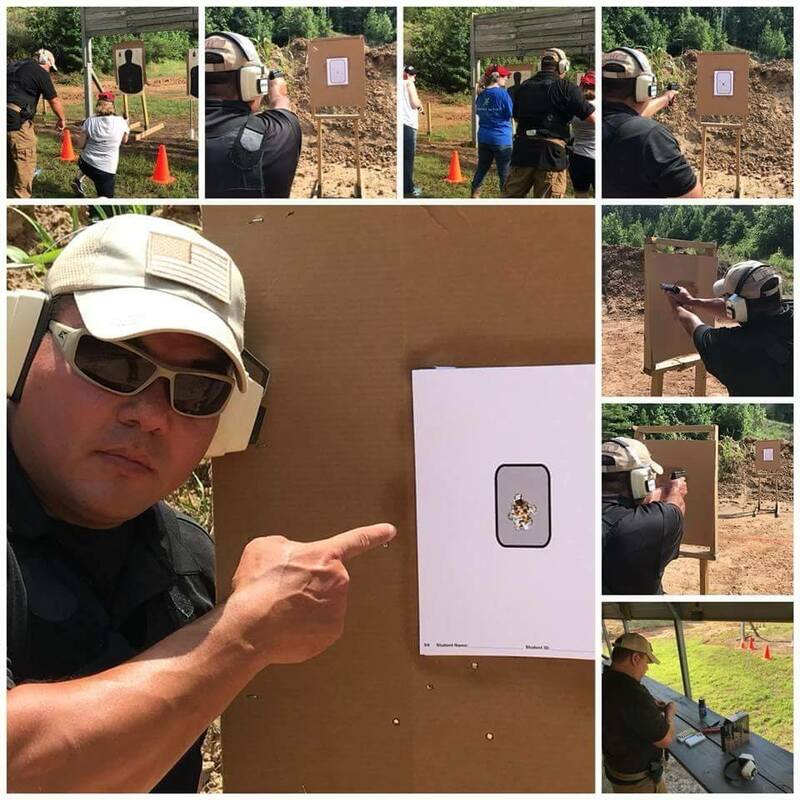 He is also an ILEETA (International Law Enforcement Educators & Trainers Association) member and has been an assistant instructor at the USCCA expo this last year in Lousville and this year in Pittsburg. From words to weapons Arma training instructors teach you the entire spectrum of human conflict. If you must use force on someone in self-defense you will need an expert trained in giving documented instruction, proper certification procedure, court defensible training, first aid and immediate first aid training until emts show up in your corner. If you take our courses you get exactly that. Our classes are designed to protect you physically in a confrontation but also the legal aftermath in court to avoid unnecessary legal fees, stress, and drama. Signup now and come to the only NRA certified range around used exclusively for concealed carry classes and firearm courses with Nea's Self-defense expert. Come see why we have taught this class for over 12 years here in Northeast Arkansas. Come get the best class around, you have my bulletproof guarantee that you wont find a better one around! We offer Active Shooter Training and Certification for Schools, Churches, Day cares, Businesses, and more! This should be everyones first class! New to firearms? Got a new firearm or new holster? These workshops and certifications will get you familiar with your firearm and translate from the classroom to the range to winning real world encounters. These courses are designed to teach the basics of marksmanship not covered when receiving a concealed carry permit. Stance, grip, sight alignment, sight picture, trigger control, breathing, and follow through will be discussed and demonstrated in depth. Don't have weekends free, want to train in the convenience of your home, or maybe can't sit 6 hours straight through a class. This is the perfect option for you. Need help getting started with a security team or need documented training? We can travel to you and help facilitate exactly that! Have you done any training around innocents? Have you done any training that focuses on the target, back stop, and beyond? Arkansas allows you to get an endorsement on your license that allows you to carry in more places, but more importantly in my opinion it gives you more state documented training that can help protect you. Come to this class to learn skills to help you win a gun fight and the court case afterwards. Don't let your license expire! We can re-certify you up to 6 months before you expire. Just come shoot and go over changes in the law in the last 5 years. You can substitute renewal training if you did the enhanced in the last 6 months. Its over, or is it? After an shooting event, how long does it take to bleed out? How long does it take medical units to get to you? We must assume that we will be injured, shot, stabbed, or otherwise seriously injured and must learn the tactics to keep us alive til medical help can come. We offer AHA cpr and first aid training for everyone!